In a press statement released by The Africa Rice Center (AfricaRice), its Council of Ministers (CoM) has unanimously approved the application of the Federal Democratic Republic of Ethiopia to join the Center, at the 30th CoM held in Kampala, Uganda, 22-23 August 2016, held under the chairmanship of Hon. Ssempijja Vincent Bamulangaki (MP), Minister of Agriculture, Animal Industry and Fisheries of the Republic of Uganda. This brings the number of AfricaRice member States to 26. Present at the 30th CoM. were fourteen member states with Ethiopia and South Africa attending as observers. 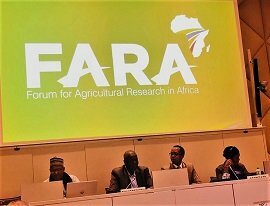 In addition, partner organizations, notably the African Union Commission (AUC), Forum for Agricultural Research in Africa (FARA), West and Central African Council for Agricultural Research and Development (CORAF/WECARD) and the NEPAD Planning and Coordinating Agency (NPCA), attended as special guests. “Rice is one of the regional value chains with a huge potential to contribute to the Comprehensive Africa Agriculture Development Programme (CAADP)-Malabo aspirations, if necessary investments are correctly made,” stated H.E. Mrs. Rhoda Peace Tumusiime, AUC Commissioner for Rural Economy and Agriculture, at the CoM inauguration ceremony. “It is therefore our moral duty to stand squarely around AfricaRice to mobilize resources and capacitate it”- she said.